High-pass Filter: Sequent 1.3.3 for Mac OS X, Windows, and Linux. Now with Gatekeeper and JACK Transport support. 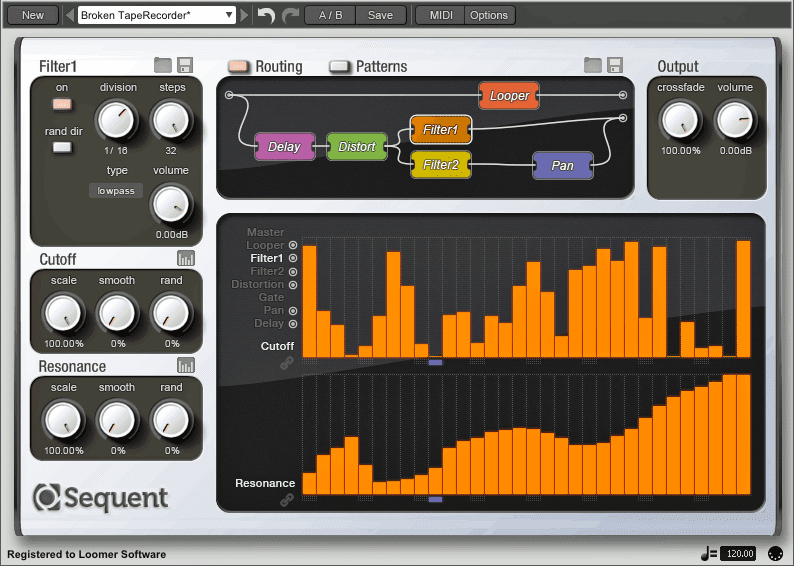 Sequent 1.3.3 for Mac OS X, Windows, and Linux. Now with Gatekeeper and JACK Transport support. (improvement:Mac OS X) Installer and all installed components are now signed in compliance with Mac OS X 10.8's Gatekeeper system. (improvement) Step response on the filter, distortion, pan, and delay module parameters has been significantly reduced to allow for tighter control of sequenced automation. (improvement) Changing sequencer patterns via MIDI keyboard can no longer cause audio glitches when using a realtime audio driver. (fix:RTAS) Fix for the right-channel muting when bypassing in Pro Tools when used on a mono to stereo track. (improvement:Windows) Removed C++ runtime libraries redistributable requirement for RTAS plug-ins. The installer no longer installs the C++ runtime library redistributable components when installing the RTAS plug-ins. (improvement) Routing and sequencing windows are now lighter and clearer.